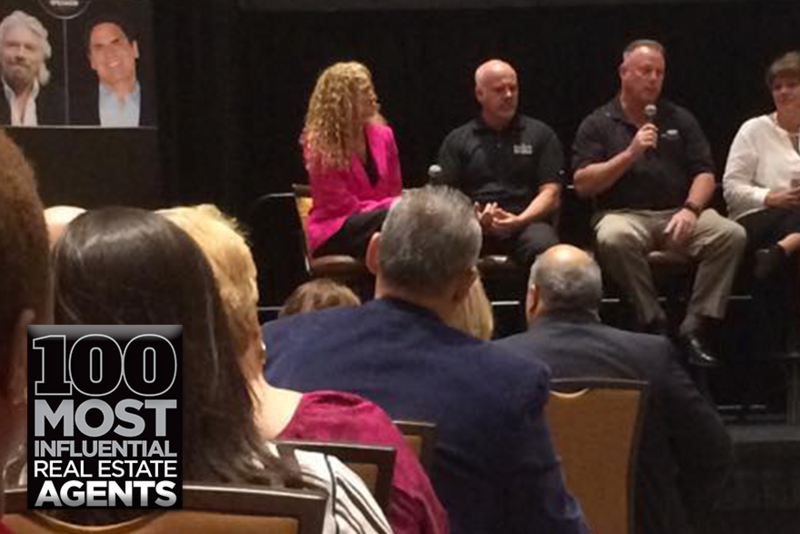 by: Joe Manausa - Yesterday, I was honored as one of the "100 most influential real estate agents in Florida" and asked to speak at a meeting of top real estate professionals in Orlando. There were some really impressive people at the event, and I was able to take in as much information as I was there to share. Here's my takeaway after a day among the best in our business. Yesterday's meeting in Orlando was an invigorating experience for me. I was asked to share my experiences and practices on many topics, and so too were some of the other honorees. While I was the only one there from Tallahassee, I can tell you that the principles and best practices executed by the top real estate agents across all markets in Florida have some consistent themes, and I believe these can be applied in any US housing market. If you are getting ready to interview agents for the job of selling your home (and/or helping you buy a home), my "takeaways" from the "100 Most Influential Real Estate Agents In Florida" conference in Orlando should serve as a checklist for what you are looking for from your real estate agent. 1. Just Do It - There is a lot of things highly productive real estate agents have to do in order to "be the best." While many of these are fun and exciting as we are always dealing with new customers, there is a basic workload of repetitious activities that only the best of the best have the discipline to do every day. These disciplines are not hard to spot when you are interviewing agents. Find out how many people they "reach" everyday, get them to show you their daily blog (content marketing plan) and look to see a consistent posting calendar going back several years. An agent's reach is going to determine how likely they are to expose your home to the most real prospective buyers (if you are selling), and just how well they know the market and can find hidden values (if you are buying). The most obvious commonality among the honorees was a strong work ethic, make sure your agent demonstrates this critical trait too. I always tell my employees at Joe Manausa Real Estate that the toughest part of our jobs is "routine things done routinely." Our routine always includes several hours daily (each employee) of growing and maintaining our reach so that we can best serve our buying and selling customers. 2. Be A Student - A recurring theme over and over again among these top real estate agents is just how much they study their business so that they can improve. The youngest of the 100 was 25 years old, and the oldest appeared to in her 70s. A common theme was that we were all expecting to learn something at this conference, and all of us scheduled time in our days and days in our months to learn more about our industry. Those that think they have mastered an industry get left behind when cycles change and technologies evolve. By way of example, there was a lot of discussion about social media and its impact on what we do inside of our real estate practices, yet there was only one honoree who mentioned she still advertises in a newspaper. If somebody told me 15 years ago that I would stop advertising in the newspaper (because that is not where 94% of the homebuyers shop), I would have been highly skeptical. But it has now been about 10 years since my last newspaper ad. Things change, students learn. 3. 5 Star Customer Service - Finally, most of the honorees mentioned a focus on customer service as a first priority. We all recognize that word of mouth continues to trump every other form of marketing, so thrilling our customers (as opposed to merely satisfying them) is part of our individual mission statements. Every one of our employees at Joe Manausa Real Estate strives to receive 5 Star Reviews from our customers, as we know the internet is now a great carrier of "word of mouth" testimonials. We are proud to point out that we have been rated by our customers with more five star reviews on Google than all of the other real estate companies in Tallahassee combined! This is not an accident, rather it is our imperative. When we meet with you the first time, we'll tell you how important it is that we "blow you away" with world-class service. You can read what our customers say about working with us below this post. It was a great honor to be included among the 100 most influential real estate agents in Florida and I'm glad that I attended yesterday's meeting. It reminded me that the fundamentals of success in the real estate brokerage industry are not location-specific and the top performers across the State are all focused on the same things. If you would like to know more about how a top real estate agent can help you when buying or selling a home, please drop me a note any time and we'll schedule a time to meet to review your needs and wants.